Orthopedics is far from the most common use of ultrasound technology, but it is still an important branch of ultrasound medicine and one that has helped better the lives of countless patients. If you are a medical professional looking for the lowest prices on quality orthopedic ultrasound probes and transducers, you can find them at UsedUltrasound.com. We are ready to meet all your equipment needs from used orthopedics ultrasound probes to ultrasound repair. We can also help you locate any used orthopedic ultrasound equipment you need, and because of our connections and experience we can deliver it at the lowest price you will find. The use of orthopedics ultrasound machines is just one of many weapons in the study of bones and muscles, and UsedUltrasound.com can equip your business for less. We sell high quality used orthopedic ultrasound equipment, including ultrasound probes and transducers, at prices that can save you as much as 60% off the original retail cost. That means you can often buy two refurbished orthopedic ultrasound transducers for the price of a single new one. And when you buy used ultrasound equipment from UsedUltrasound.com, you get the peace of mind provided by our 100% satisfaction guarantee. We are able to offer that because we only deal in refurbished ultrasound equipment that has been tested and inspected by a qualified technician. 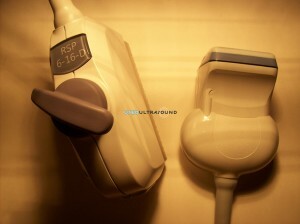 UsedUltrasound.com has hundreds of different ultrasound machine models for sale from manufacturers such as Philips, SonoSite, GE and many others, plus we have quality used ultrasound probes and transducers for virtually every model, including hard to find or older systems. 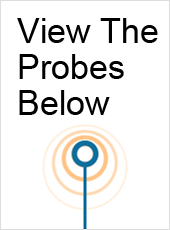 To get the best price on a used orthopedics ultrasound transducer or probe, just give us a call toll free at 877-661-9911 or fill out the quick contact form and we’ll promptly provide all the information you need, including a no obligation price quote.